Transport department officials are working on integrating the mono rail. “Intermodal connectivity is designed for each station to prevent congestion around metro stations. Circular roads to allow buses to access the St Thomas Mount station and a skywalk near Koyambedu station are planned,” said V Somasundaram, chief general manager, construction, Chennai Metro Rail. 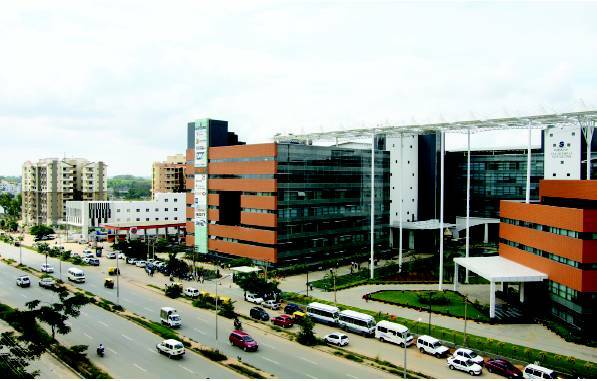 Perumbakkam, a suburb in Southern Chennai, is benefiting from the fast-developing IT corridor in Old Mahabalipuram Road (OMR). The locality also enjoys proximity to other prominent areas like OMR road, Medavakkam, Velachery, Sembakkam, among others. The Perumbakkam Road which also connects Velacherry-Tambaram Road and OMR is about 6 kilometres. It starts from Medavakkam and terminates at Sholinganallur. Perumbakkam is about 1 km east from Medavakkam Main. The locality is well-connected to Tambaram through the Velachery-Tambaram road and to Sholinganallur through the Medavakkam-Sholinganallur road. The TN government has launched TN Financial City in Perumbakkam vicinity. All finance-based companies are expected to come here and this will give a boost to the infrastructure developments in Perumbakkam district. A Tamil Classical Institute is also expected to be launched in the locality. Sabharinath said that schools, colleges and hospitals are also available in the vicinity. State-level local builders are more active compared to prominent builders in the locality. Some projects in the locality are Isha Homes, Harmony Residencies, and India Bulls Greens, among others. Multi-storey flats are more in demand in Perumbakkam compared to independent houses and plots. “Rental demand is set to increase because of neighbouring IT work-force migrating to the locality for jobs,” Sabharinath said. The rental value of a 2BHK is about Rs 12,000 per month for a 800 to 1,000 sq ft apartment, while a 3BHK apartment is from Rs 15,000 to Rs 17,000 per month. 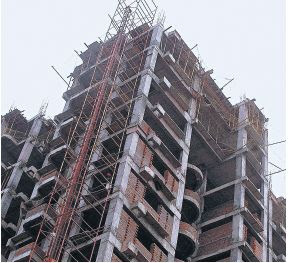 From December 2010 uptil now, there has been a price increase of Rs 1,000 per sq ft in the apartments of this locality. With the neighbouring IT companies like Wipro and Accenture, there is a demand for both rent as well as buying because the locality is affordable, accessible, and well-connected. There have been regular reports about the rise in material and labour costs. As clients and users we are left wondering how much is the rise and how it affects our budget. Any little information and thumb rule to understand the situation would be of much help. An overview of material consumptions, unit rates would help us navigate through the maze of construction estimates. Here is an attempt to help you follow the process of cost estimates. A quick way to know how much it costs is to use the square meter or square feet rates. In order to arrive at this, a broad understanding of how much material is required to construct a square meter is necessary. Table 1 roughly indicates the material consumption. Based on this one can work out the cost of construction. 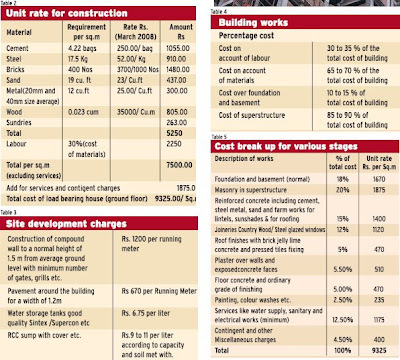 Table 2 explains how the building cost is calculated. Services include water supply, sanitary, and electrical works with minimum normal grade fittings. This rate can be considered for estimation. It may vary with the location, type of soil met with in foundation, period / season of execution, changes in terms of finishing materials and so on. For example, ceramic tile flooring would be at Rs.565/sq.m. Instead if you replace it with marble it would cost about Rs.1200 per sq.m. The rise in material cost during execution affects the unit rate and our estimate. 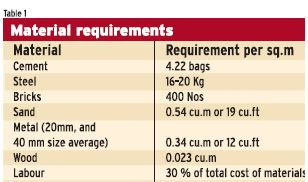 For example, if we had worked out cement cost at Rs 250 per bag and during construction time it rises to Rs.270 this would amount to an increase of about Rs 84 per sq.m. Normally a clause to cover price escalation is introduced in the construction agreement with the contractor. In case you are buying an apartment look for this clause and be satisfied with the terms. If it is not there discuss it with your developer. A firm agreement about the modalities of intimation and settlement of cost difference must be arrived at upfront. This may avoid any hardships during the completion and handing over of the building. The author is former Superintending Engineer P.W.D and approved Valuer. Classifieds are perfect for selling just about anything at all. Here you can sell and buy anything under the sun including both novel and used products.